Some things happen in a tennis match that you can’t control. Your opponent calls your winner “out” or the sun hangs in the middle of your service toss. Lucky for you, there are some elements of your day on the tennis court you can control, and one of those things is your equipment. Pro Players meticulously pack supplies for matches. Andre Agassi reveals his tennis bag doubles as his briefcase, suitcase, toolbox, lunchbox, and palette. When you’re buying anything this important, it’s a good idea to do your research. I’ve compiled a list of the best tennis backpacks based on durability, ease of use, and storage space. 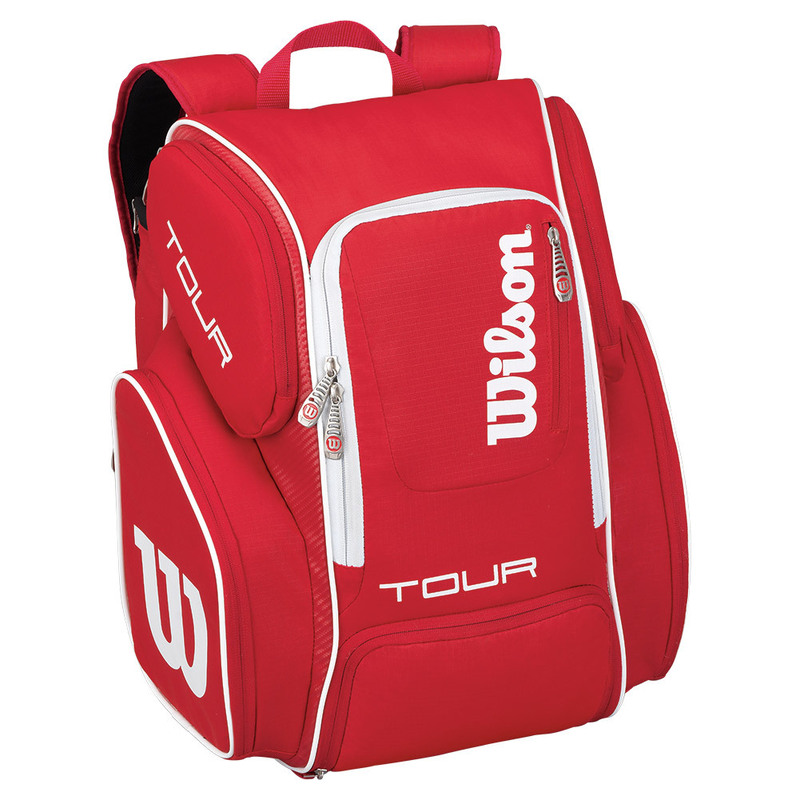 First up on the list is the Wilson Tour V Large Tennis Backpack. I can’t help but love a bag that’s made to resist water and be easily wiped clean. If you’ve had a sunscreen or hand grip spill inside your bag, you understand why this is such an important feature. This backpack is large enough to handle 2 racquets, along with plenty of gear. There’s a separate compartment for shoes and dirty clothes, making this bag a hit with players that play frequent tournaments. With 4 outside zippered pockets for accessories like keys, phones, and nutritional needs, this backpack is great for someone that is trying to transition to a backpack from a huge racquet bag. 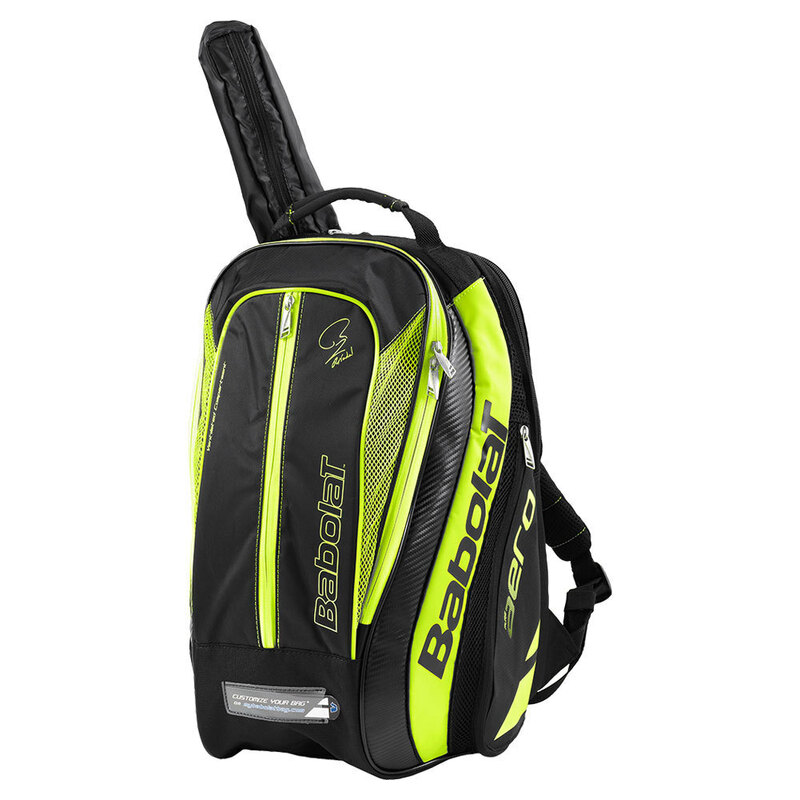 For Babolat fans like Rafa, there’s the Pure Aero Backpack. In fact this bag features a screen printed autograph from the star, marking his sign of approval. It can hold up to 2 racquets, and even has handle covers to keep them from the elements. If you’ve ever had to run off the court during a rainstorm trying to keep your grips dry, you’ll appreciate that feature a lot more. This backpack also sports a large ventilated pocket that can be accessed from the outside for dirty shoes and clothes. I really love that the bottom of this backpack is extra wide, so that it stands easily on its own courtside. With padded and adjustable backpack straps, this backpack will help you comfortably carry the gear you need! adidas may not be the first brand I think of when talking tennis with my friends, but they’ve really nailed the tennis shoes and bag market. 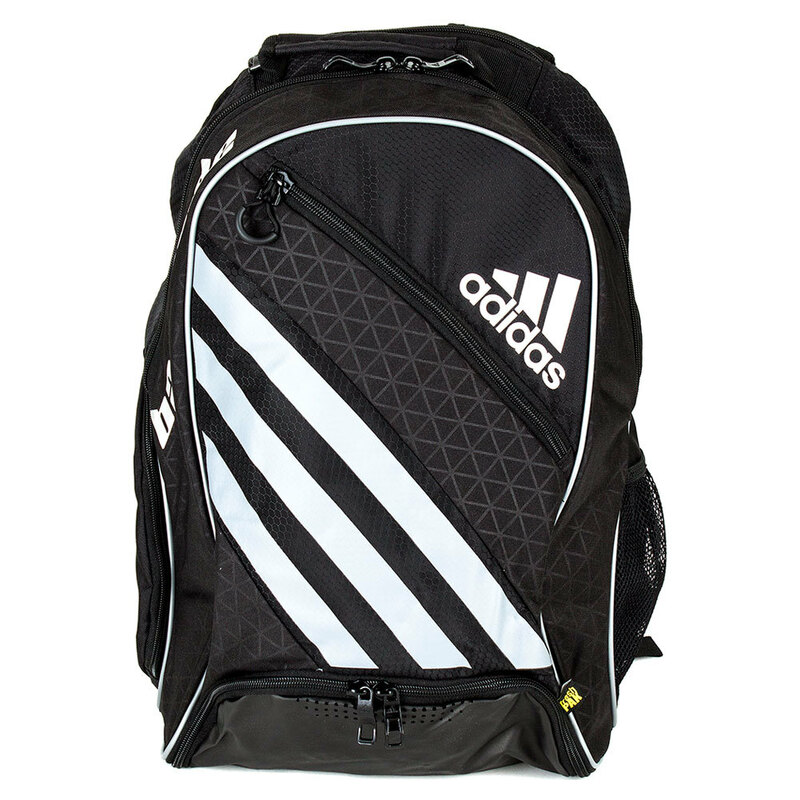 The adidas Barricade IV Tennis Backpack comes in a couple of different colors. 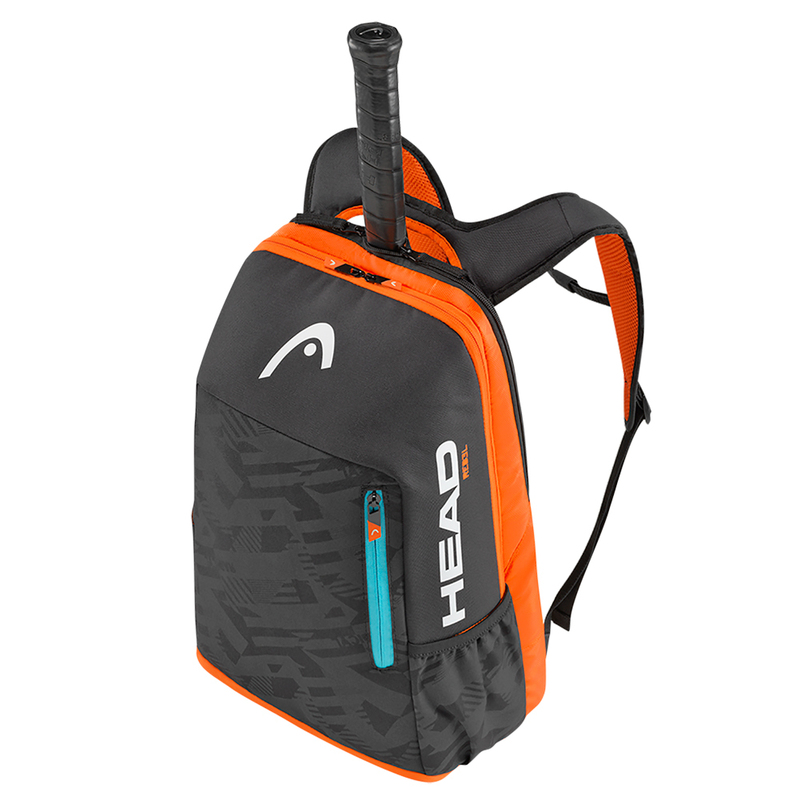 Like the other backpacks, it can hold up to 2 racquets, has a separate compartment for shoes and dirty clothes, and plenty of pockets for accessories; however, there’s a couple of things that help this bag stand out from the crowd. It has a thermal pocket specifically designed to keep drinks cool on court, which is awesome for the summer and spring seasons. A small fleece lined pocket for your fragile technology adds to the awesomeness of this bag, making it great for travel as well. Not to be outdone, Prince makes a high quality backpack at a great price. 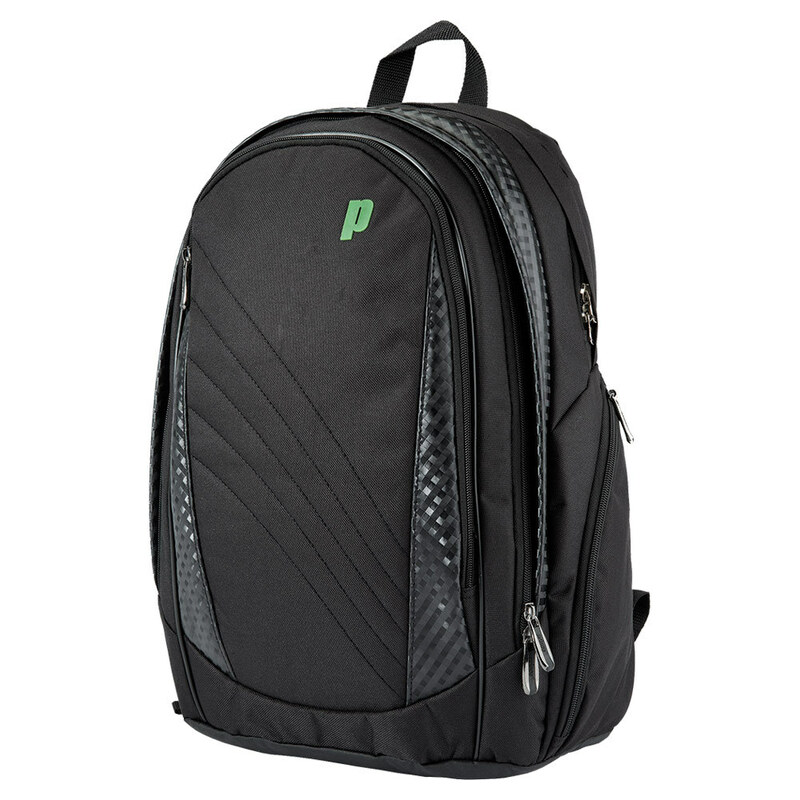 The TeXtreme Backpack even has padded space large enough for your tablet or laptop. It holds up to 2 racquets and keeps things simple in the organizational department. Sometimes, I find myself opening a million small pockets trying to find exactly what I need on a quick changeover. With only two side pockets, I’ll know exactly where to look for my sports chews before the 3rd set! The inside has a pop of bright green Prince color to show off the company’s tennis pedigree. Like to maximize your storage, but still want to keep things lightweight? The Head Rebel Backpack is light in weight, but doesn’t skimp on features! It has a ventilated separate compartment for sweaty clothes and stinky sneakers. The side pockets are large enough for water bottles and ball cans, while the front small zippered pocket is perfect for your phone and keys. It still holds 2 rackets and features padded straps for easy carrying! As always, there’s a couple of bags that could be easily included in this list, so I’m going to throw them an “Honorable Mention” nod. The Babolat Pure Drive Backpack has all of the same features as the Pure Aero Backpack already on the list, but costs a little less. Speaking of value, the Babolat Club Line Backpack has big features with a small price tag. Able to hold up to 2 racquets, it comes in a variety of colors. In addition to an elastic pocket that can hold a can of balls, it has one small zippered pocket to hold valuables. Having a hard time deciding between a Racquet Bag, a backpack or a fashion bag? Our blog is here to help!